The Shops at 181-183 Gertrude Street Fitzroy were developed in a number of stages commencing in 1852, with the earliest extant structure appearing to date from 1853. The two storey shops were owned and built by Joseph Trevena, a stonemason who migrated from Cornwall. They are prominently sited, with a splayed corner and elevations in the early Italianate style to both Gertrude and George Streets. The building was divided into two shops and residences in 1864 and other internal alterations have been made. 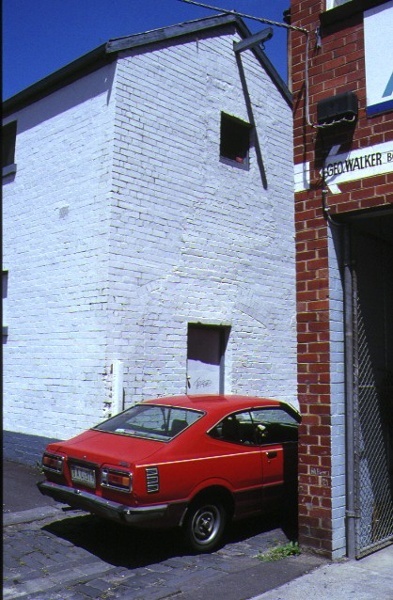 Part of the large yard originally at the rear of the building now has a large brick addition, a former stable block, which is now linked to the original building on the George Street frontage. 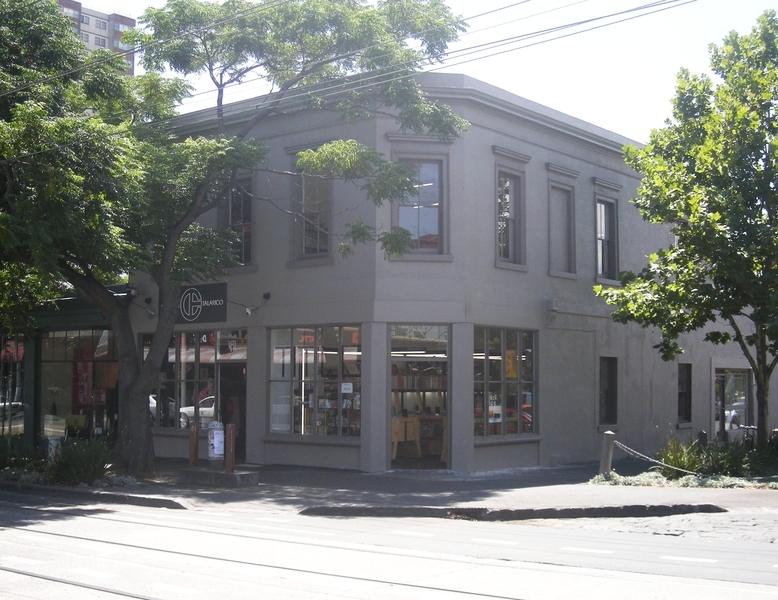 The Shops at 181-183 Gertrude Street Fitzroy are of historical and architectural significance to the State of Victoria. 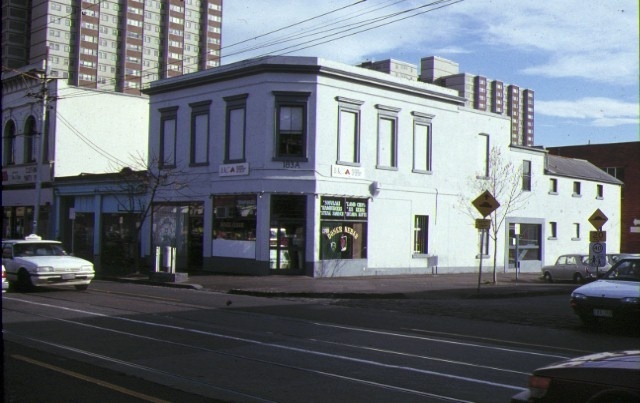 The Shops at 181-183 Gertrude Street Fitzroy are of historical significance as typical but now rare examples of development in Melbourne’s first suburb, Fitzroy, in the 1850s. While the shops are not grand landmarks in the manner of Osborne House or Royal Terrace, other notable Fitzroy buildings, they are illustrative of a more common form of development, and symbolic of the efforts of more humble but still vital contributors to the growth of the city. In many ways the shops are symbolic of the archetypal – perhaps romanticised – pioneer story. Their owner and builder, Joseph Trevena, appears to have realised the dream of many immigrant tradesmen by purchasing a piece of land, initially constructing a small dwelling for himself and his family, and, by using his own trade skills, gradually developing the land into an investment as money permitted. The shops are, thus, a reminder of the efforts of the less celebrated but still enterprising early citizens of Melbourne. The shops also provide important evidence of the gold rush-stimulated growth of Melbourne and are significant traces of 1850s development in what was one of the earliest commercial streets outside the central city area. 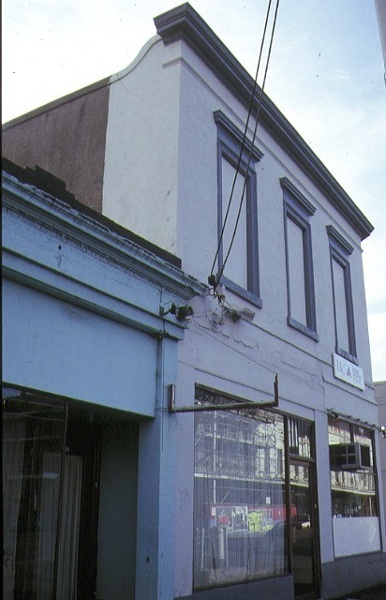 The Shops at 181-183 Gertrude Street Fitzroy are architecturally significant as typical but now rare examples of gold rush era shop design. Whilst architecturally distinctive with their use of simplified entabulatures over the first floor windows and a splayed corner, the shops provide excellent examples of the kind of modest scale commercial design employed by owner-builders in the 1850s, and are typical of many shop and residence combinations which evolved at that time. The urbanity of the simple but accomplished design is particularly notable in a street where the majority of the buildings of a similar age have been altered or demolished. 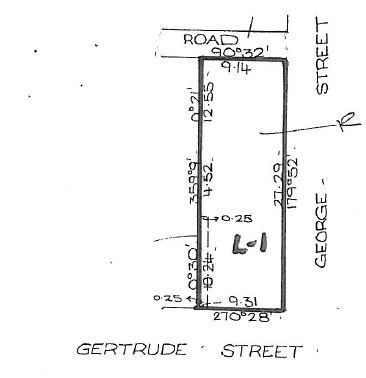 (2) the land marked L-1 on Plan No. 601471B, being all the land described in Register Book Certificate of Title Volume 3131 Folio 145. 1. Exempt classes of works or activities are to be planned and carried out in a manner which prevents damage to the registered place / object. 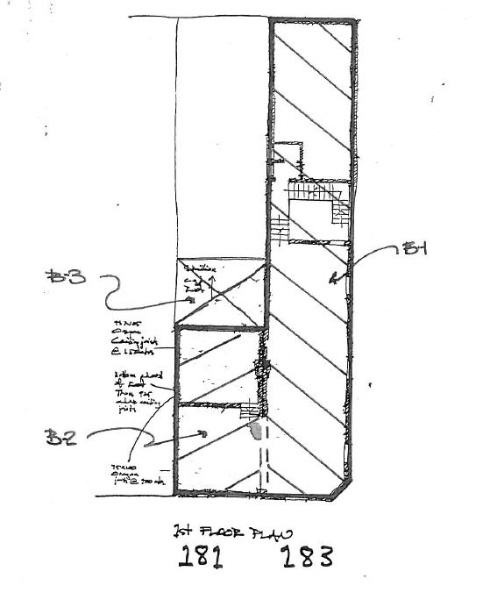 However, if other previously hidden original or inaccessible details of the object or place are uncovered, any works that may affect such items shall immediately cease. The Executive Director shall be notified of the details immediately to enable Heritage Victoria representatives to inspect and record the items, and for discussion to take place on the possible retention of the items, or the issue of a modified approval. 2. Nothing in this Declaration prevents the Executive Director from amending or rescinding all or any of the permit exempt alterations provided work has not commenced on the alteration. THE ATTENTION OF THE OWNER AND/OR APPLICANT IS DRAWN TO THE NEED TO OBTAIN ALL OTHER RELEVANT PERMITS PRIOR TO THE COMMENCEMENT OF WORKS. joinery, linings and fittings. Internal painting. Power and data cabling within the interior of the building and the installation of internal light fittings.